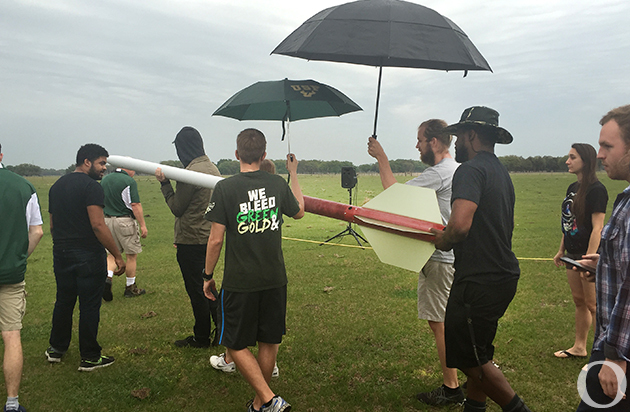 A team of 10 students huddled together around an 11-foot, fiberglass rocket as they tried to protect it from the drizzle starting. Despite the rain early Saturday morning, the team launched its full-scale rocket for the first time. 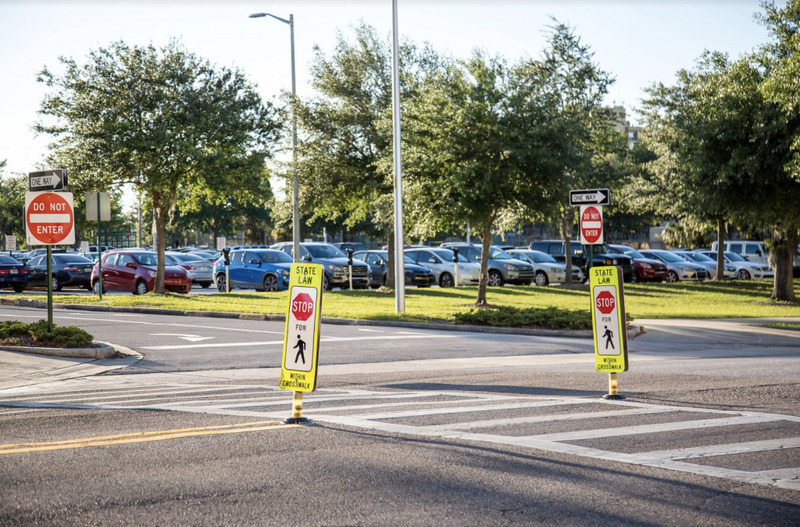 This year, USF students are participating in the NASA Student Launch Initiative, for the first time, which is a research-based competition. The eight-month-long competition focuses on designing, building and flying rockets. While most of the teams are from universities, the competition also includes high school and middle school teams in their own tier. Each team received a maximum budget of $7,500, according to the handbook, to spend on the rocket. The team’s rocket also includes a Mars Ascent Vehicle (MAV) component, which places it as one of 20 teams from across the nation in that category. This means the team must come up with a unique method to capture, contain and launch a sample from the simulated Mars surface without human interaction. “In addition, teams will develop a launch system that erects a rocket from a horizontal to vertical position, and has its igniter autonomously installed,” the handbook said. Currently 10 students are participating but the team hopes to expand to 14 before going to the national competition in Huntsville, Alabama in April. It’s been working on building the actual rocket while also building the robotic part of the project. The goal of the robotic component is to load and launch the rocket without any human influence. On top of a first, second, third place and rookie of the year, competing teams can also win in a number of other categories including best-looking rocket, team spirit, altitude awards and education engagement. The first place prize for the MAV competition is $25,000. The winning teams will be announced May 11.